There are many different approaches to making a gallery and they will all be covered in this friendly guide to Making a Great Gallery! By the end of this article you should be able to determine which type of gallery is the best for your personality and available funds. Now, you need to think long and hard about which theme you want for your gallery or even if you want to do one at all. Though I hope you will want to make a gallery, I don’t want you to jump into a decision before you are ready. Making a gallery should be comparable to painting one of your precious pets. You should think long and hard to make sure the color you chose would be right for you and your pet. First off you have the color gallery. If you choose this then I can guarantee you will never finish it, but that is not necessarily a bad thing. When taking on a job this big it is definitely best to go in order. If I were to do something like it I would start with all the inexpensive items of one category (i.e. : plushies, keyrings, tick tack items, etc.) and keep at that until I had a good sized gallery; I wouldn’t worry about the expensive items for the time being. Then once I had completed one of the above mentioned categories I would move on to another type of item. Once you have completed most of the cheap items in all the different categories you can move on to the more costly items. Some people want something that they can keep working on for all eternity, which is definitely what a color gallery would be if you decided to take it on. These types of galleries are most definitely not for everyone and definitely not for me, so don’t feel obligated to go with this choice because there are two more where that came from, and I’m sure one of them will be right for your specific needs! The third and final type I am going to talk about is a certain theme gallery. These galleries are based entirely on one object (ex: coconuts, swords, Meridell, faerie items, etc.). These are personally my favorite type of gallery. You can make up a list of exactly what you need and know when you are nearing a completion of your collection. These types of galleries are often easy on the bank account, though there are of course exceptions to this rule. The other plus you will find to these types of galleries is that you can incorporate new things to the old theme. For example, if you were doing coconuts to begin with you could incorporate it into being an island theme which would of course include the coconuts. This is a good thing to do once your current gallery is completed to keep you from getting bored with it. When saving for an item for any one of these themes, make sure to stay on target and focus on a certain item until you have it, then move on to the next on the list. Remember to try to get the cheapest things for your gallery first; this way your gallery actually has something in it while you are saving. The reason for this being that it looks really silly to tell someone you are saving for a Pink Chokato for your Chokato Gallery when you haven’t got any of the many under 1K items related to Chokatos. It just makes sense to do it this way. Now, that’s the easy part. The most difficult part of galleries you will find is the images you will require to make your gallery presentable. You will need a main background, table background, and a blog. The bare minimum you would need for a gallery is a background but that would not look all that attractive to just have that. What’s that you say, “you can’t do images”? Well, don’t worry your pretty little head about that. If you can, it is great to make your own stuff for your gallery, but if you really can’t, there are plenty of bored Neopians hanging out on the Spotlights and Galleries Board that would be more than happy to help you out with an image or twenty. You just need to ask nicely and be patient. The boards are very slow there so you won’t get a reply instantly and you don’t need to “BUMP” your board hardly ever for it to stay on the front page. If you can actually make your own images, that’s even better because then you don’t have to ask permission when you decide that you want to enter the gallery in the gallery spotlight. If you are caught entering someone else’s work in the spotlight and they didn’t want it to be entered, it could lead to trouble for you. So, better safe than sorry, right? 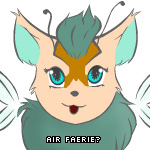 Galleries on Neopets give me something to do. I think that everyone Neopian should have a gallery. They give you something to spend all their extra NP on. I can almost guarantee that you will love your gallery if you can just pick the right theme to match your personality. Galleries are like your comfort things, always there for you to adore and fondle... as much as you can “fondle” pixels, that is. They are just comforting. I often find myself mesmerized in front of my computer admiring the images I have made and the items I have collected. Am I weird, you may ask; most likely. Live with it! I hope that this guide will send you on your way to becoming the proud owner of a shiny Gallery Spotlight CHAMPION! trophy, but even if it doesn’t, I’m sure you will do wonderfully with this information to guide you on your way to becoming the owner of the best gallery in Neopia (apart from mine of course)! "The coins," the Draik said calmly, "are magical. They were made long ago after the Gelert defeated the creature by a young Xweetok. She gave them to the Gelert and his friend, a Draik. They were declared the Guardians..."